Cloudy. Slight chance of a rain shower. Low 49F. Winds ENE at 5 to 10 mph..
Actress Katherine MacGregor (TV: "Little House on the Prairie"), 92; The Amazing Kreskin, 82; country singer William Lee Golden (The Oak Ridge Boys), 78; actor Anthony Andrews, 69; movie director Wayne Wang, 68; actress Kirstie Alley, 66; radio commentator Rush Limbaugh, 66; legal affairs blogger Ann Althouse, 66; writer Walter Mosley, 65; country singer Ricky Van Shelton, 65; radio-TV personality Howard Stern, 63; writer-producer-director John Lasseter, 60; broadcast journalist Christiane Amanpour, 59; rock musician Charlie Gillingham (Counting Crows), 57; actor Oliver Platt, 57; Basketball Hall of Famer Dominique Wilkins, 57; entrepreneur Jeff Bezos, 53; rock singer Rob Zombie, 52; actor Olivier Martinez, 51; rapper TBird (B-Rock and the Bizz), 50; model Vendela, 50; actress Farrah Forke, 49; actress Rachael Harris, 49; rock singer Zack de la Rocha, 47; rapper Raekwon (Wu Tang Clan), 47; singer Dan Haseltine (Jars of Clay), 44; rock musician Matt Wong (Reel Big Fish), 44; singer Melanie Chisholm (Spice Girls), 43; contemporary Christian singer Jeremy Camp, 39; actress Cynthia Addai-Robinson, 37; rhythm-and-blues singer Amerie, 37; actress Issa Rae, 32; actress Naya Rivera, 30; actor Will Rothhaar, 30; actor Andrew Lawrence, 29; rock singer ZAYN, 24; pop/soul singer Ella Henderson (TV: "The X Factor"), 21. Decatur Underground Theater will be holding auditions for the upcoming show "The Marvelous Wonderettes" from 6 to 8 p.m. Jan. 16 and 17 in the first floor meeting rooms of the Decatur Civic Center. Participants should prepare a short vocal song. A choreographed piece will also be taught. The show will be March 31, April 1 and 2. For more information, visit www.DecaturUndergroundTheater.com. 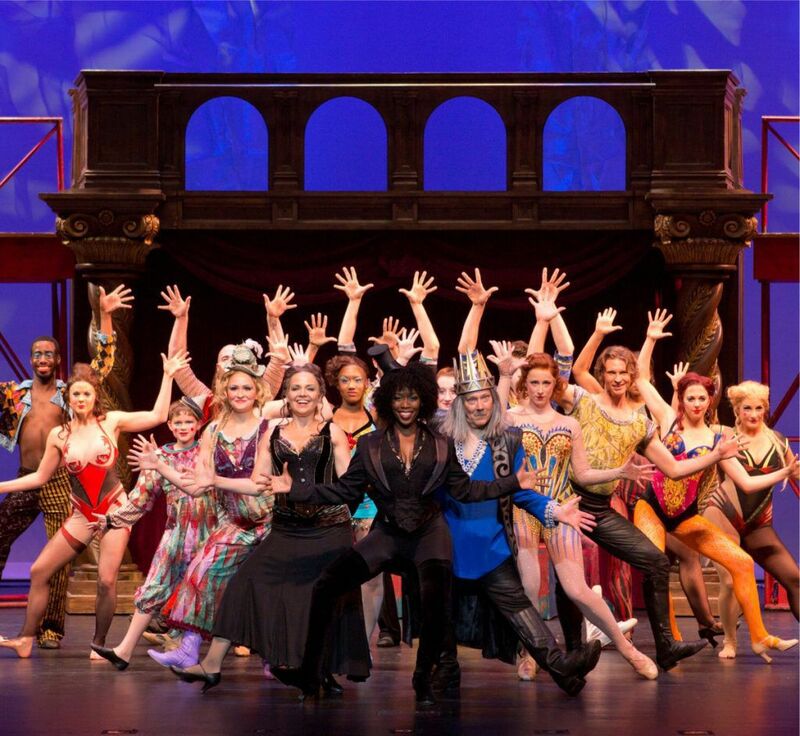 A traveling Broadway production of the musical “Pippin” will be presented Wednesday, Jan. 18, at Sangamon Auditorium at the University of Illinois at Springfield. Tickets for the 7:30 p.m. performance are $74, $64 and $54. Tickets are available at the box office, www.sangamonauditorium.org or by phone at (217) 206-6160 or 1-800-207-6960. The Little Theatre On the Square will have auditions for "The Music Man, Jr." from 3 to 5:30 p.m. Friday, Jan. 13, in the theater. Registration is required. A dance combination will be taught from 6 to 7 p.m.
Students in grades four through 12 are invited to audition. Participants must select a 16-bar arrangement of up-tempo music to sing during the audition. The song should be memorized. Sheet music must be provided for the accompanist. For more information, visit www.danceanddrama.org. A touring edition of “Rodgers and Hammerstein’s Cinderella” is at the Peoria Civic Center at 7:30 p.m. Wednesday and Thursday, Jan. 18 and 19. Tickets are $67, $54 and $37. Tickets are available at the box office and via Ticketmaster. Stoney Larue and Mike Ryan perform Friday, Jan. 13, at Springfield's Boondocks Pub. Tickets for the 7 p.m. show are $20. Tickets are available at www.boondockspub.com.